Edward Lhuyd, linguist, botanist, historian, polymath visited Ireland on his 4 year Grand Tour of Wales, Scotland, Cornwall, Brittany and Ireland from 1697 to 1701. He produced a grammar and dictionary of the Irish language. 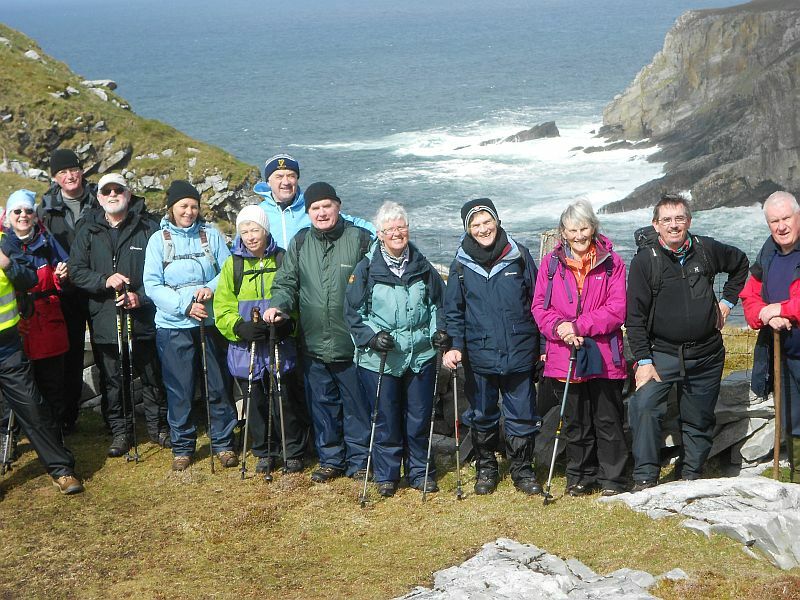 It seemed as if a little Welsh republic had formed itself in Downings when 23 members of the Edward Lhuyd society arrived to spend a week exploring the beauties of Donegal – following in the great man’s footsteps. They were joined by 9 natives who tried to learn a few Welsh words of greeting! The natural flow of the Welsh language showed up our lack of our own native language as we struggled to bring our own school Irish. We stayed at the Downings Bay Hotel where the chef went out of his way to satisfy the varied needs and tastes of the group. 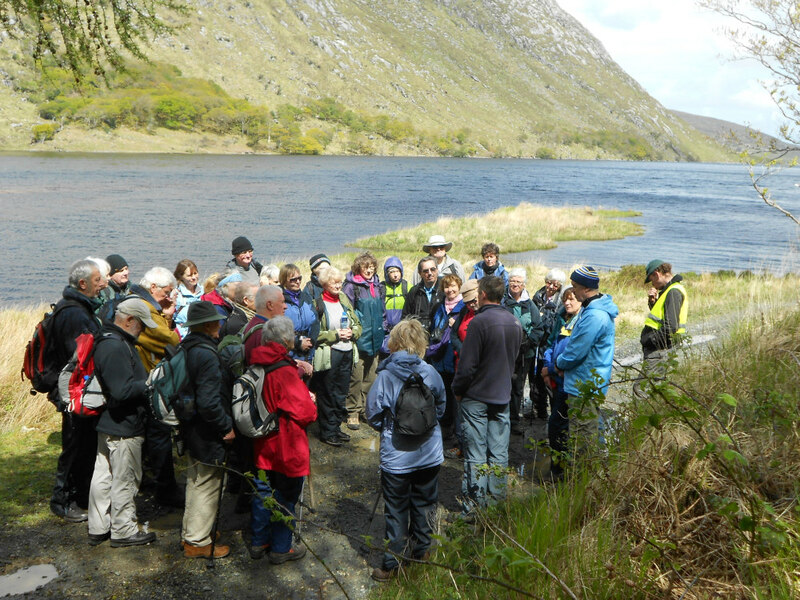 We had a magnificent day in Glenveagh National Park where we were led by the ranger Robbie Miller. 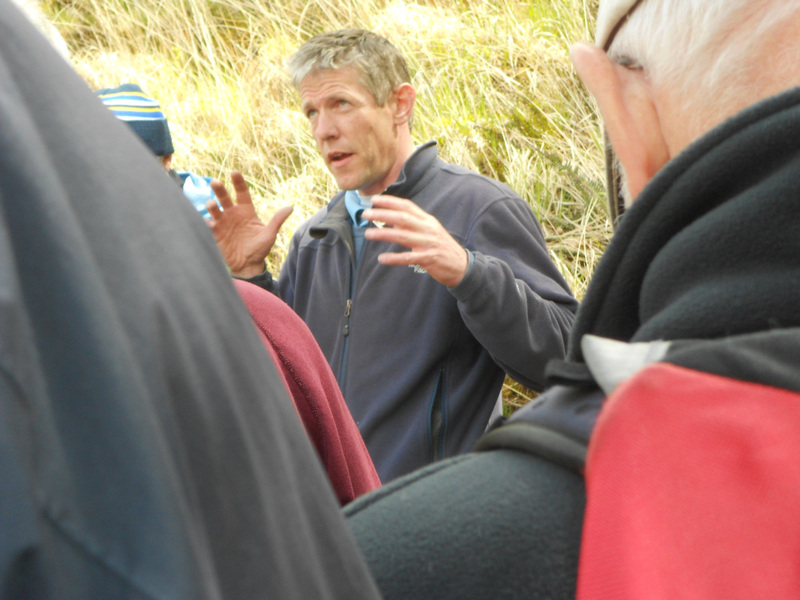 We met Lorcan O’Toole who gave us an inspiring talk on his reintroduction of the eagle to Ireland. Lorcan O’Toole talks about the eagles! 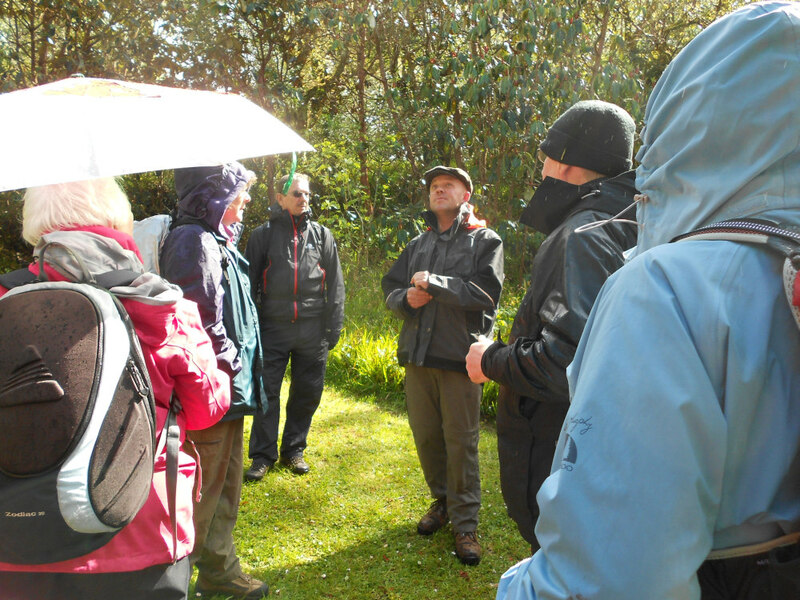 The head gardener, Sean O’Gaoithin, took us around the exotic gardens and it was hard to believe we were in the middle of wild Donegal. We enjoyed our visit to the Castle tea rooms where over our soups,sandwiches,scones and wonderful cake we had time to think about the wonders and history of this great park. 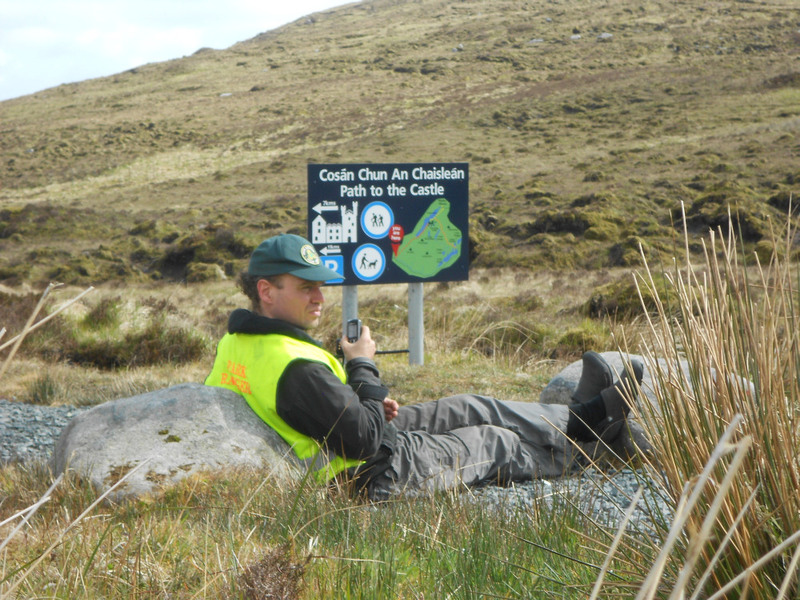 Ards Forest Park, Knockalla Mountain and the Atlantic Drive were the destinations for our great excursions.